I wondered the same things. That’s why, many years ago, I attended a silent retreat. I learned that a long weekend of quiet reflection can change lives—and businesses—for the better. You’ve probably felt mentally exhausted at some point—being perpetually busy and never providing your mind with time to rest and rejuvenate is one consequence of today’s overly connected world. Just as our bodies require rest after exercise, our brains need a break from the constant bombardment of stimuli. That’s what a silent retreat provides. There are many fantastic programs around the world. I’d love to answer any questions so you can discover the perfect retreat for you and your schedule. Day one: Participants get acquainted with each other, the retreat site and your leader. We review meditation basics and power-off electronics. Day two: After a morning meditation, the silence begins in the afternoon. You’re discouraged from verbal communication, writing, reading or even making eye contact. Participants stay active with sitting meditation, walks through nature and retreat leaders sharing the power of mindfulness. Day three: As you grow more comfortable in silence, daily worries begin floating away, and you begin to understand what’s genuinely important: your presence, right now, in this very moment. Day four: By late morning, the silence gradually ends. The group discusses their experience and shares strategies for incorporating newly discovered mindfulness into daily life. As the retreat ends, you may find that you’re reluctant to power-on electronics and reconnect until absolutely necessary. As a business leader, I know it takes more than a few paragraphs to explain to leaders all of the benefits of retreat. Here, I’ll answer a few common questions about silent meditation retreats. Do I Really Have to Stay Off the Internet? We’re all adults and retreats aren’t prisons. If turning off your phone or checking email is an absolute deal-breaker, no one will stop you from stepping away to catch up. But keep in mind, disconnecting is a rare opportunity overconnected leaders should embrace. Many past silent retreat participants say unplugging ended up as one of their favorite aspects of the retreat, including Paul Spiegelman, entrepreneur, restaurateur, author, speaker and founder of the Small Giants Community. As a busy business leader, Paul was anxious about disconnecting for a few days, but what he learned was eye-opening. Imagine the clarity following a silent retreat. Everything’s still running just as it did a few days ago—but your mind now feels more aware, focused and present about the things that really matter. Won’t I Get Bored? Maybe. We’ve become wired to stay away from boredom. In our incessantly busy society, we’re taught that “doing nothing” is akin to laziness. Therefore, we fill spare time by staring at our phone, checking social media, obsessing over emails and over-planning events. As humans, we mentally can only handle so much. What if we permitted our brains to hit pause? Not just for a lazy afternoon (where we’d likely still be filling our brains with Netflix or scrolling through Facebook), but for a few days of pure mental cleansing. Silent retreats allow us to give our minds—the same minds that made us the leaders we are today—a real break. No distractions. No figuring things out. No responsibilities. Just learning to live with ourselves without all the filler. For a few days, let’s go back to the basics. Each day as leaders, we’re trusted to react to countless situations big and small. From writing important emails to answering complicated questions to hiring new team members, every action can potentially reverberate for years. Don’t we owe it to our teams and our loved ones to show up at our best? Don’t we owe ourselves the same? Do you want to learn more about silent meditation retreats? Have questions I didn’t answer? I’d love to connect with you directly on Twitter and LinkedIn. You can also read my book donothing or listen to my recent donothing podcast where I discuss silent meditation retreats more in-depth. 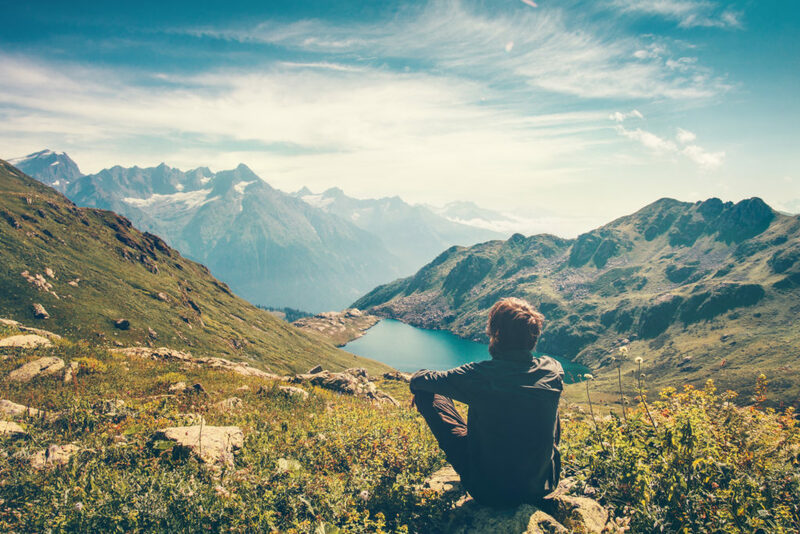 The post Success Through Silence: Why Silent Mindfulness Retreats Create Stronger, More Present Business Leaders appeared first on Octane Blog – The official blog of the Entrepreneurs' Organization.